Stimulated by Matthew Yglesias’s shoe fetish revelation, let me recommend (after you check the link) that you (a) listen to Karrie Jacobs elegant commentary on public radio’s Marketplace program, and then (b) go read the book she praises, William Gibson’s Pattern Recognition. I’ve read, if not everything Gibson has written, then a pretty fair subset. (Long ago I wrote up some of my thoughts about his work in an essay for the long gone and much missed New York Academy of Science magazine, The Sciences. Ah well; all text is grass.) I think Pattern Recognition is his best, both intellectually rich and a fine exploration of character and emotion. His sense of technology as a solvent of human expression and feeling is so sharp. I’m there with the comparison Matt makes in his post; I made the same point using different measures here. But Gibson is a better guide than either of us ever will be to the labyrinth of brands and signals in which we live now. 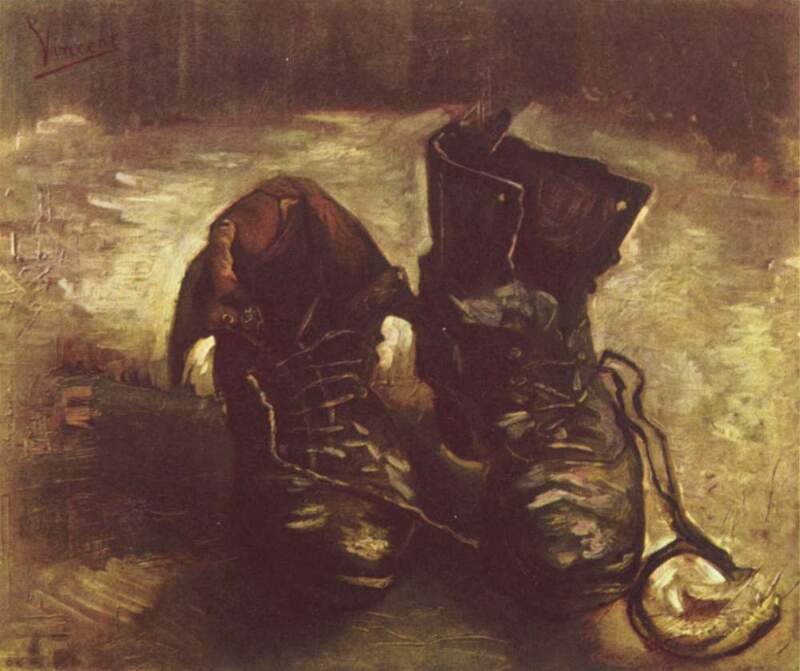 Image: Vincent van Gogh, “A Pair of Shoes,” 1886. The reproduction is part of a collection of reproductions compiled by The Yorck Project. The compilation copyright is held by Zenodot Verlagsgesellschaft mbH and licensed under the GNU Free Documentation License. Source: Wikimedia Commons.